Jordan House, a 200 year old Georgian farmhouse situated around two miles from the busy town centre. 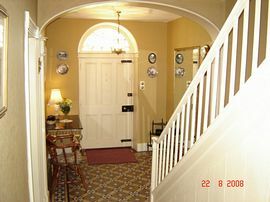 Open all year we are a family run Bed and Breakfast with three letting rooms. One night stays welcome and discounts available on extended holidays. Bowleaze cove beach just a ten minute walk away. We also have off street parking and garage facilities should you wish to stare and diving/fishing equipment. For further information about our rooms and the services that we offer please go to our link above or see the contact details below below. We are a large white farmhouse situated on the left hand side of the road (if you have come from the town centre) on the A353 Preston Road. Please look for "Orchard Drive" if you have come by car as our private driveway is off it. There is a train from London Waterloo every half hour. Jordan House is approximately a 30 minute walk from the train station. There is a taxi rank just outside the station. Any service heading towards Poole/Bournemouth from the station will take you past Jordan House and the nearest bus stop is around 200m away. Please double check with the driver. £27.50 - £32.50 per person per night. 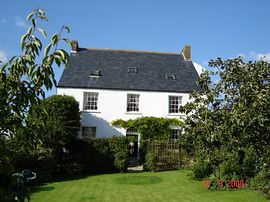 £35.00 - £40.00 per person single occupancy. Open throughout the summer and most of the year. A Very Pleasant Bed and Breakfast By maggs - 24 May 2009 "Lovely welcoming from the hosts on arrival. 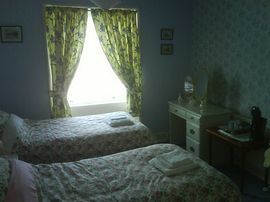 They provided a clean and spacious room, that was nicely decorated and had classic furnishings. Very comfortable bed. Bathroom was also nicely presented and smelt nice too. Breakfast was plentiful and cooked well. Although my stay was short, I got pleasant vibes about this modest bed and breakfast. Next time I am in Weymouth I know I will be staying here again." 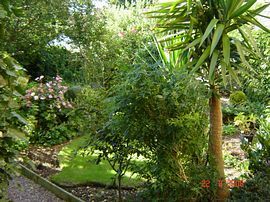 "This was a pleasant clean comfortable guest house, with a good breakfast" We stayed at Jordan House for one night but wish we'd booked for the week. We found every aspect of the accommodation and service to be of a very high standard. Our room was excellent, beautifully furnished and decorated. The hosts were extremely friendly and hospitable. The breakfast was delicious. We will DEFINITELY be visiting again when in the area!!! !